LAHORE: (Thursday, August 2, 2018): Punjab University Vice Chancellor Prof Niaz Ahmad Akhtar has announced that one hundred thousand trees would be planted on campuses as part of PU administration’s vision to play its role in protection of environment. He made this announcement while launching tree plantation drive at Institute of Agricultural Sciences here on Thursday. 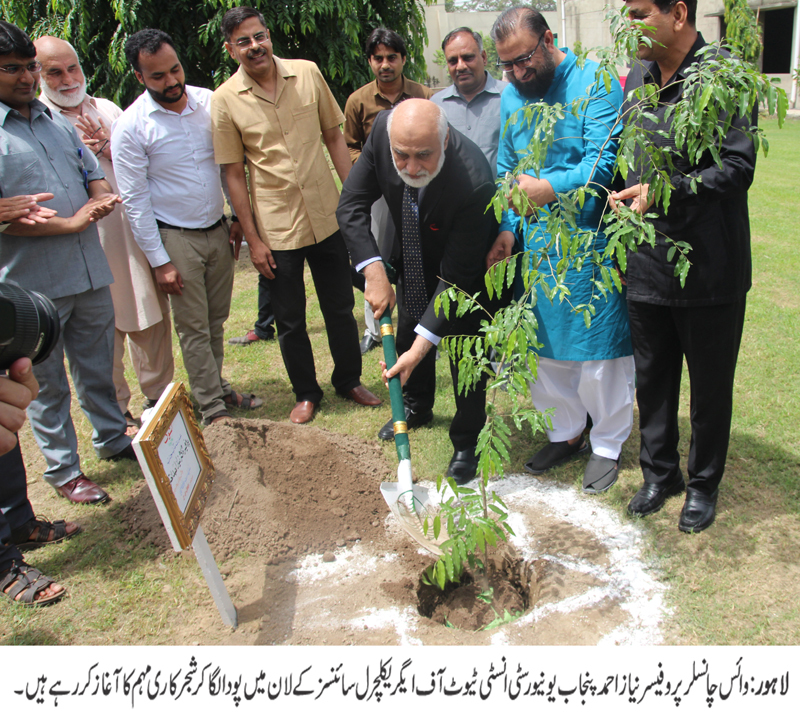 PU Institute of Agricultural Sciences Director Prof Dr Saleem Haider, Punjab Forest Department Chief Conservator Muhammad Farooq, President PU Academic Staff Association Dr Mehboob Hussain, faculty members and students were present on the occasion. Talking to media, the PU VC said that conserving environment was need of the hour because we could not survive without healthy atmosphere. He said that PU would launch research projects which would contribute to help save our nature. He said that it was our national duty to keep our environment clean. He said that various types of pollution were taking the toll of hundreds of thousands of lives every year and if we did not take steps in right directions, it would be difficult for our upcoming generations to survive. He said that PU would also play role to create awareness among people at large for saving our environment. 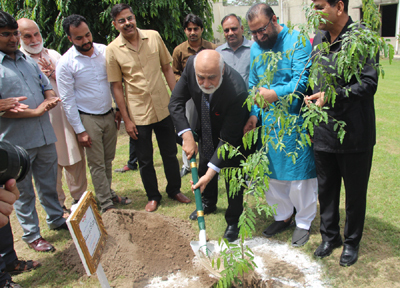 Earlier, the VC planted a sapling at the lawns of Institute of Agricultural Sciences.